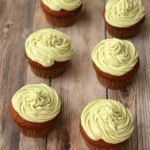 I had no idea what matcha green tea was until I started seeing it all over my pinterest feed. It looked pretty good to me! So I ordered some with my usual supplement order and I tell you I’ve got some plans for this stuff! 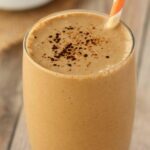 It’s pretty damn awesome and adds a wonderful flavor and richness to smoothies. 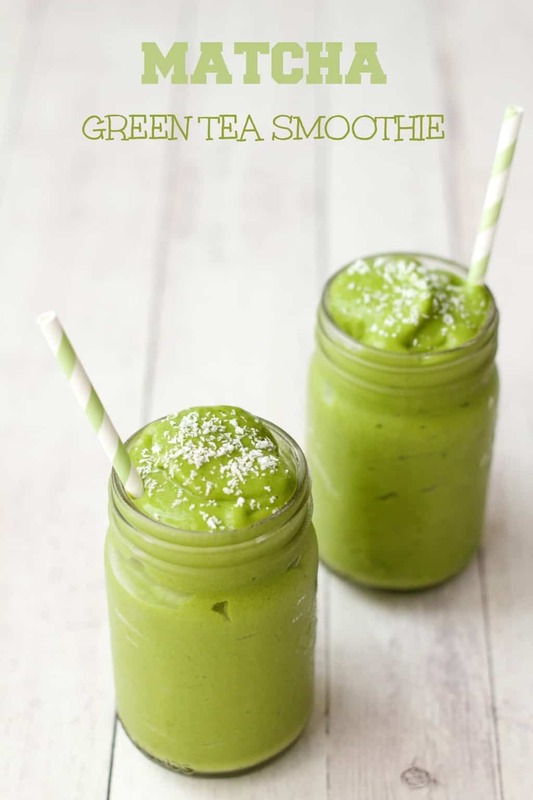 I’m always a fan of green smoothies and the addition of matcha green tea makes it something special! 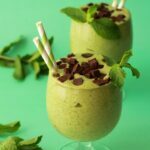 So this matcha green tea smoothie contains all the goodness of a regular green smoothie with the added green tea flavor (subtle – but lovely) and of course all the good antioxidants that green tea contains. It also has a little caffeine. I’m quite caffeine sensitive ( ) so I kept this pretty mild. And when I say ‘caffeine sensitive’ what I mean is ‘crazy eyes’ from ‘Orange Is the New Black’ aint got nothin’ on me! 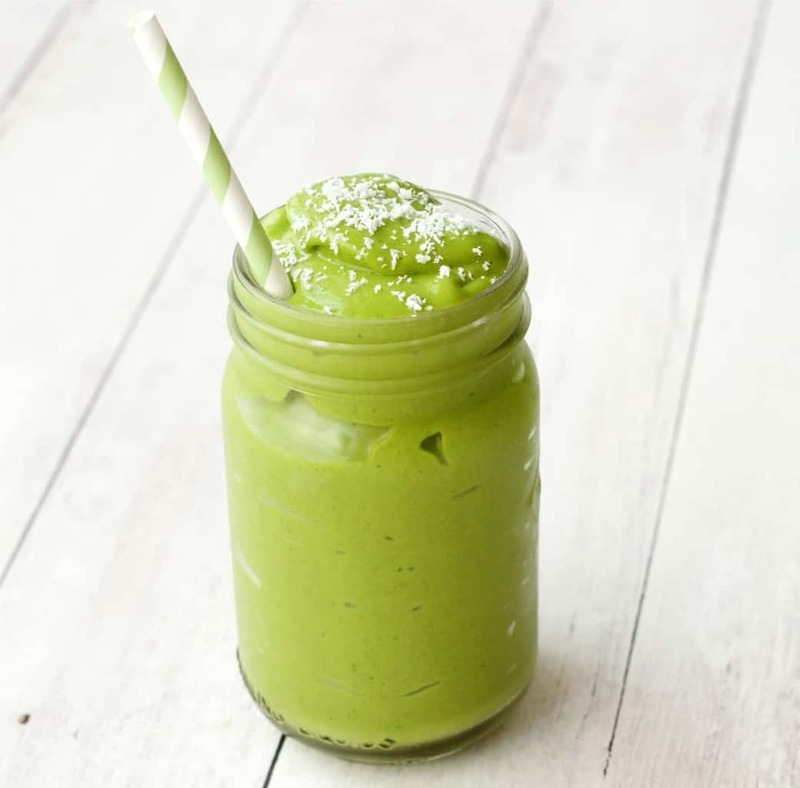 I like how it adds a subtle hint of green tea flavor to the smoothie without being overpowering. 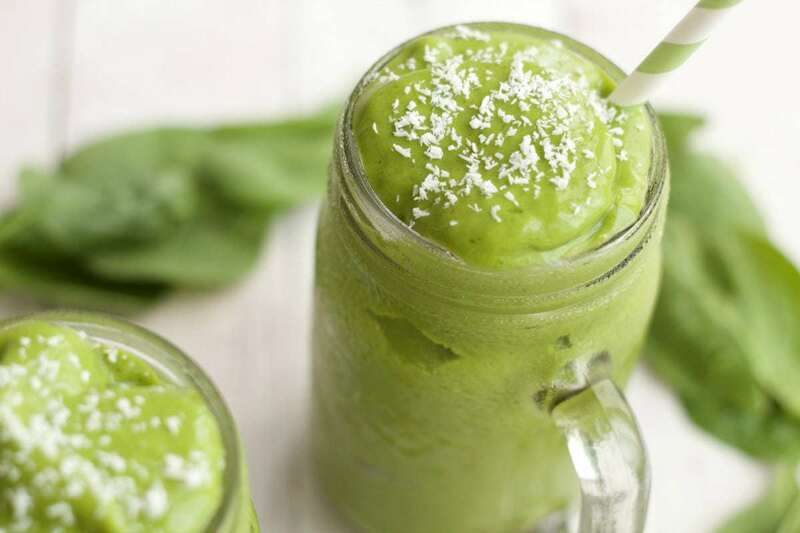 If you want more of a caffeine boost though, you could easily add more matcha green tea powder to the recipe. 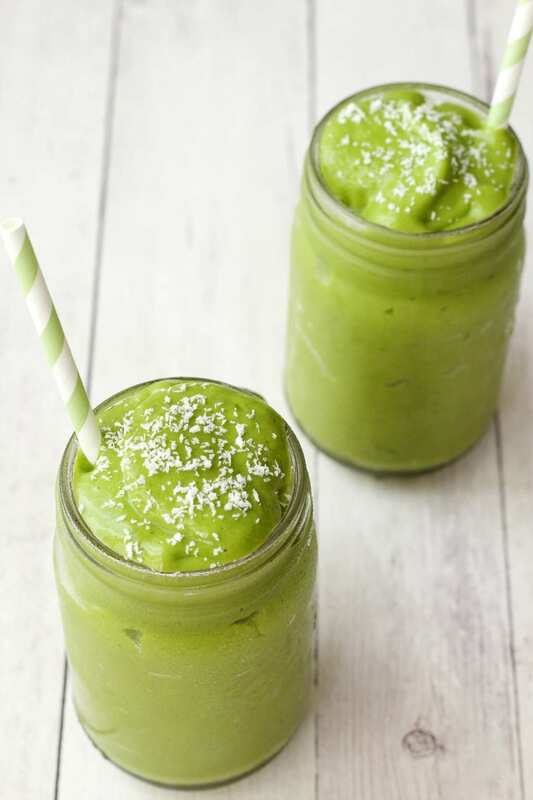 This is GREAT for breakfast – doing double duty as your caffeine shot for the day as well as your super healthful infusion of fruit and veggie goodness to power you up for the day ahead! So I’m a fan – I think you will be too! This matcha green tea smoothie is fruit and veggie packed, cold, double-thick, smooth, creamy and utterly delicious! It’s also ready in 10 minutes! How much better can it get? Any comments or questions – post them below in the comments! I would love to hear from you. And please do rate the recipe too, thanks so much! And while you’re here, sign up to our email list. You’ll get an awesome free recipe ebook containing 10 delicious vegan dinner recipes and you’ll be the first to know when new recipes are posted to the blog! 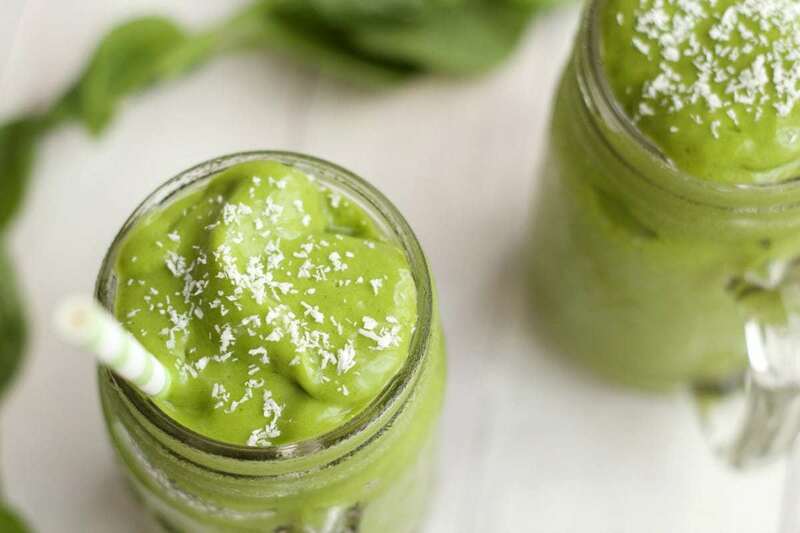 Easy 5-Ingredient matcha green tea smoothie. 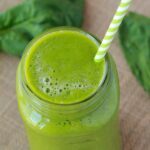 This green smoothie is fruit and veggie packed, cold, double-thick, smooth, creamy and utterly delicious! *Bananas must be peeled, broken into quarters and frozen at least 12 hours before. Anytime you have extra ripe bananas, peel, break into quarters and freeze in a freezer bag so you have them on hand for smoothies. Such a healthy and delicious breakfast! I love the little added boost of energy matcha gives. I can’t wait to try this! 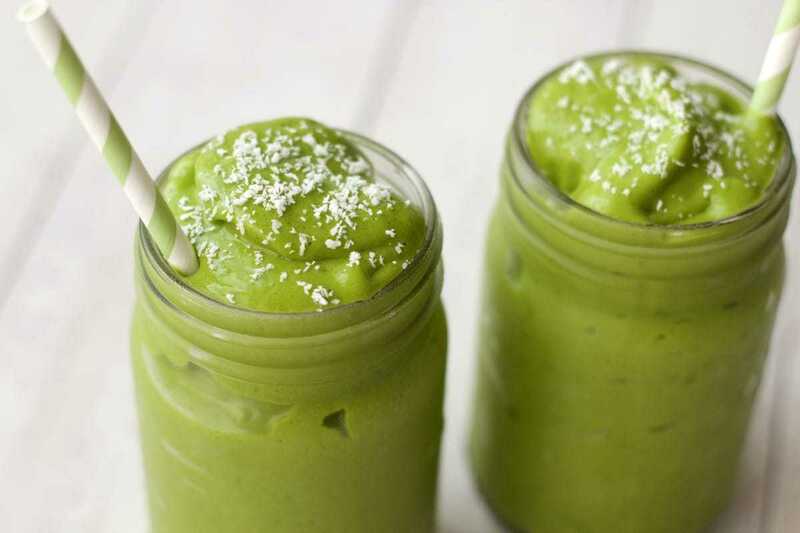 (Our blender is probably cringing, we give it such a workout with smoothies already!) I love how matcha gives you that “calm energy” feeling, not jittery. I’m so glad I found your site! My 14-year old daughter is a total vegan, refusing the tiniest speck of dairy influenced ingredients (driving me a bit crazy!). I’ll be poking around here on your site awhile, I can always use more vegan recipes to try! Hi Jennifer! Yes, matcha is awesome! I’m so glad you found the site too. Hope you’ll find some lovely recipes you and your daughter will love. All the best! 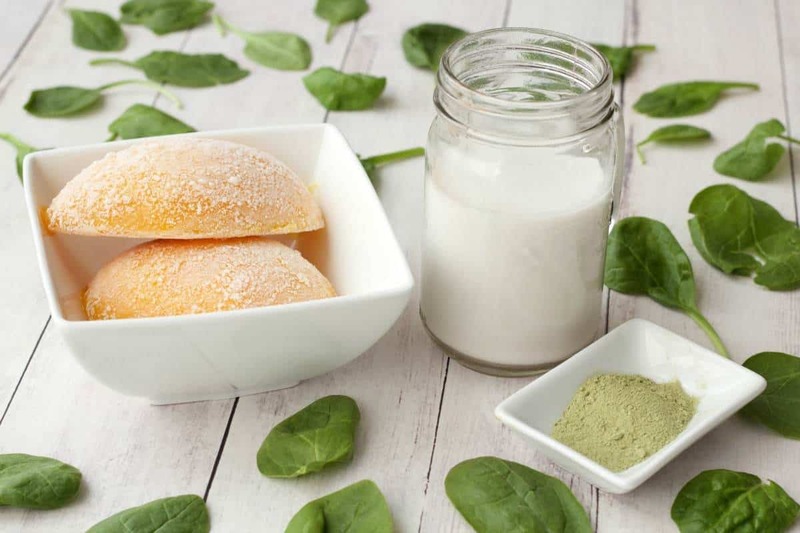 I purchased 2 pouches of Matcha green tea not knowing yet what I can mix it with until I came across your your blog, have to find me the light coco milk because of lactose intolerance. Thank you. Hi can I use water instead of milk? Sure! The consistency will just be a bit thinner and the taste will be less rich, but it’ll work fine. Can you tell what one Large Mango equals to in Frozen Mango Chunks? I don’t eat bananas, what other fruit would you recommend with the Mango? 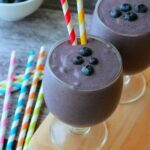 Alison I love this smoothie its my new go to breakfast smoothie! I love the energy boost I get from the matcha. One question I have is how you get the smoothie so smooth? When I do green smoothies with kale or spinach I end up chewing them because its not shredded finely enough. I’m using a ninja blender right now but I’ve been looking into getting a refurbished vitamix or blendtec. What blender are you currently using and what would you recommend? 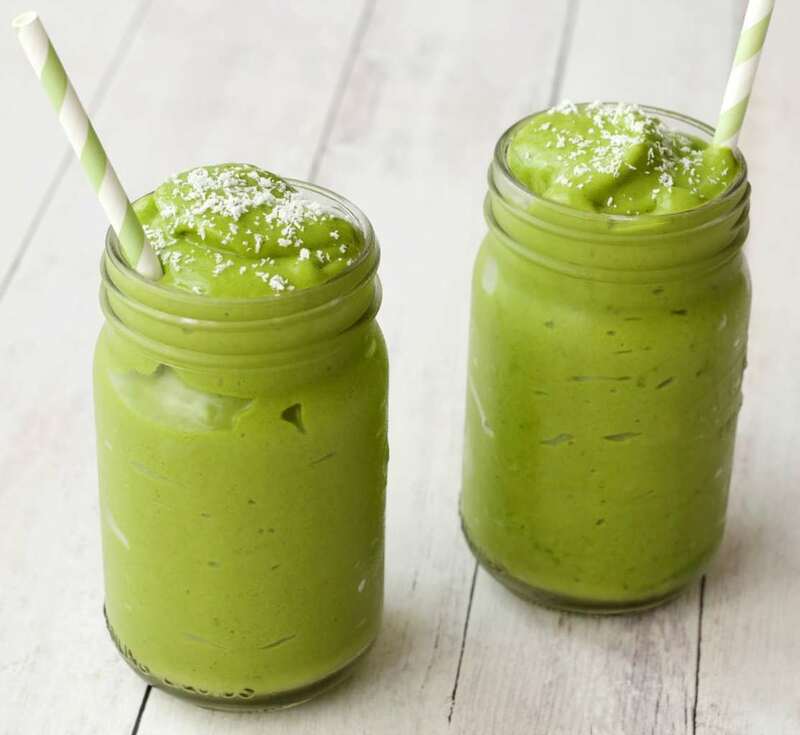 I just read this post https://livingfreshdaily.com/vitamix-5300-vs-7500/ talking about some vitamix blenders and I’m thinking im going to get the vitamix 5300. Do you have any experience with this blender? Thanks! Hi Sophia, so glad you like the smoothie! We use a Vitamix 5200 and have done for the past 9 years. We’re super happy with it. I have never tried the 5300, but I don’t really think you can go wrong with a Vitamix! Best smoothie I’ve tried to date. Two questions here: I typically use oats milk. Do you think that will still work the same as the coconut milk? And second is I much prefer to use kale in my smoothies. Do you think that will alter ithe taste much. I’m not a huge fan of spinach at all. 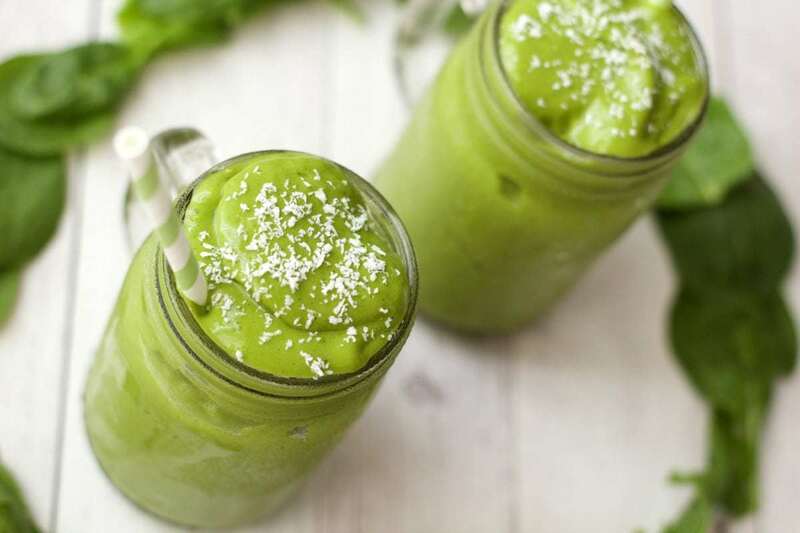 But I’m dying to find a matcha tea smoothie go-to like yours. Thanks. 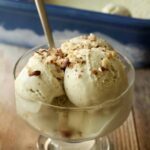 will almond milk be okay? Just made this smoothie trying matcha for the first time! I love green tea and smoothies but my problem is the bananas. I really CAN’T stand the smell or the taste of them. Is there something that I can use instead of that? I would really love to try the recipe out if so. You could try it with extra mango or some pineapple instead. It will have a different flavor but it would still be good!